I don’t need to start with the game last week or the way the Dolphins have been playing. 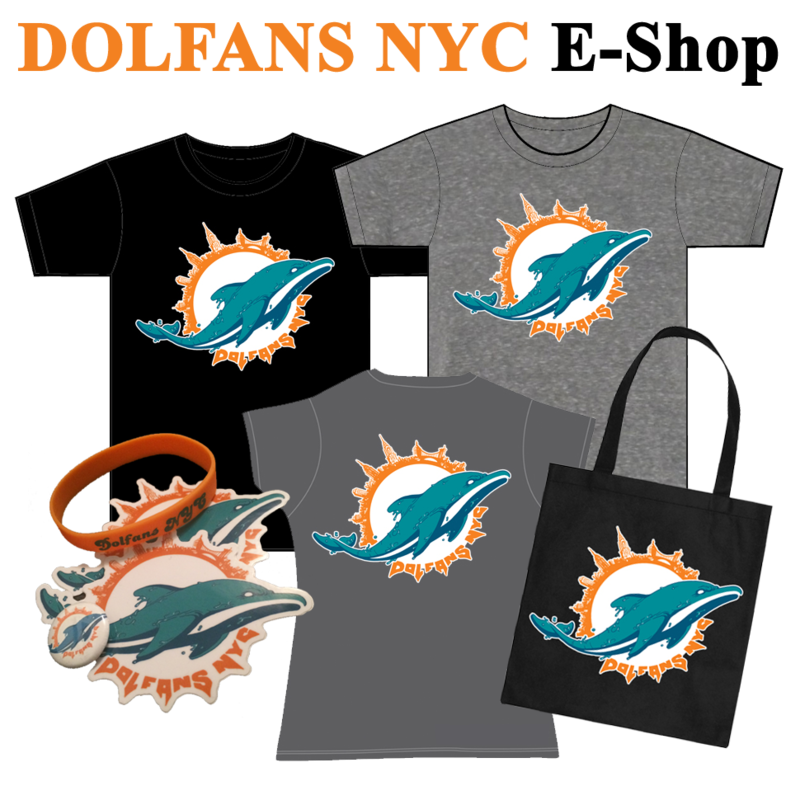 Obviously it’s not making any Dolphins fan happy, but Dolfans NYC was founded with the goal of enjoying our Sunday’s and doing something positive at the same time. Win or lose we have more fun every week being with our Dolfan brothers and sisters at Slattery’s and this week we are doing something to help one of them out. When I first moved to NYC almost exactly 8 years ago I googled “Dolphins Bars NYC” and a bar called Proof came up. When I got there there was only one other Dolphins fan. His name was John and we watched games together every week. At some point my Dolfans NYC partner Michelle came into the bar and we had our first chance meeting which led several years later to the founding of Dolfans NYC. When word go out about our club John heard about it and I saw him again for the first time in a couple years and he instantly became one of the most essential members of Dolfans NYC. He is there every week and has done a lot of great stuff for us and now he needs some help. John’s dog Hank has been really sick and has been in and out of the vet. John approached us about raffling some of his memorabilia off to help pay for some of his dogs treatments and we of course agreed. So on Sunday John is going to be bringing in some of his memorabilia and we are going to be upping the game with some of our own stuff including an autographed game used Brian Hartline glove. 75% of all the money we raise via raffle will go to Johns dog and the other 25% will go to the no kill animal shelter BARC in Brooklyn where Michelle volunteers. If you can’t make it to Slattery’s on Sunday and still want to help out , please contact us and we can put you directly in touch with John. 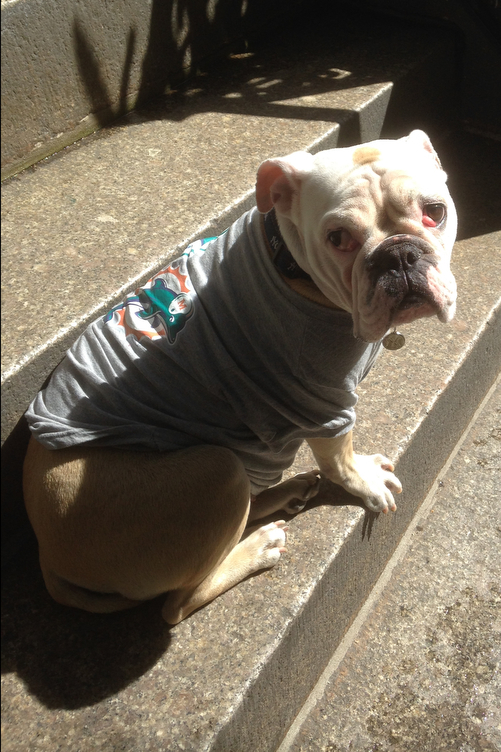 Check out Hank below and check out our Instagram now until Sunday for daily updates featuring Dolfan animals!